Recently myself, Dr. Laura Miranda founder and creator of PURSUIT, and John Spencer Ellis, founder of NESTA, broadcasted out to the world on Facebook LIVE! Changing the course of your career in fitness is dependent on shifting your mindset on what you are capable of in both business and in executing group fitness. 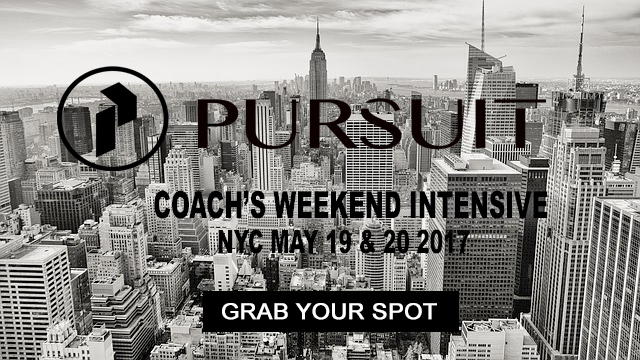 I’ve decided to offer 20% off the PURSUIT Coaches Weekend Intensive event in May in NYC! Use code ILOVENESTA here to get 20% off the entire event!